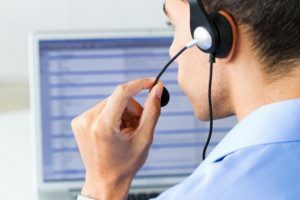 It may not feel like you’re on vacation when you’re working 40 hours a week, but as 3C Contact Services, the leading provider of outsourced call center solutions, tells their clients that there are ways that their partners and agents can live like they’re on vacation, even when they’re on the job. Most workers make the most out of the two to three weeks a year they get off, but if you follow these tips, you can make your vacation last year-round. This includes taking “me time” and, most importantly, leaving the stress of the workplace at the office. Think of your evenings and weekends as being mini-vacations from the workplace. While your weekends may be the time when you get house and yard work done, this is also your casual time as well. Remember to set aside time for a fun activity; even if it’s sitting and reading or watching the game. The KISS song “Lick It Up” has the lyric, “You need to live life like you’re on vacation.” KISS and other rock bands abide by this rule. They may have the budget to live like they’re on an unending vacation, but that doesn’t mean that you can’t either. This can be something as simple as day trips on the weekend while taking advantage of long weekends to plan trips or just take it easy. If weekends are typically when you get work done around the house, set aside one day on a long weekend to just relax. Do some research about attractions and events in your area and plan your day trip around that. But remember, don’t go over your budget! When the time comes for your actual vacation, you want to be sure that you have enough. Keep an eye out for affordable and free events and enjoy a night out, but don’t overdo it. You could also just take time to celebrate yourself and your achievements. Set aside a couple of hours to reflect on the past week and everything that went well. Even if you had a bad week, try to find the silver lining and reward yourself, even if it’s just going out for a treat or a movie. Finally, don’t get too stressed about everything that happened. The day and week is behind you, so leave everything that happened at the office there. Laugh more often and you’ll find yourself feeling less stressed and in better spirits. Even if you’ve had a bad day or week, do something to lighten your mood, like going to see a comedy or watching funny videos online. 3C Contact Services believes that by the time your vacation time rolls around, you’ll feel completely relaxed because you’ve enjoyed mini-vacations throughout the year.